The action by the Technical Coordinating Committee of the Madison Athens Clarke Oconee Regional Transportation Study (MACORTS) is preliminary and must be approved by the MACORTS Policy Committee and be opened up for public comment before the Long Range Plan is modified. The GDOT requested projects requiring modification of the Long Range Plan include money for a flyover of Dials Mill Road Extension of SR 316, for improvements to the SR 316 interchange with SR Loop 10, and for improvements to the Clotfelter Road Bridge at Barber Creek. The Technical Coordinating Committee also gave its approval to GDOT requested changes to the 2018-2021 Transportation Improvement Program to include $18 million in funding for a flyover of the Oconee Connector of SR 316 and $25.2 million for the four-laning of Jimmy Daniell Road from the Atlanta Highway to Mars Hill Road. “The projects that came forward from GDOT for the Construction Work Program looked a little different than we anticipated,” Sherry McDuffie told the members of the Technical Coordinating Committee at its May 24 meeting. Sherry McDuffie is a transportation planner with the Athens-Clarke County Planning Department who handles MACORTS interactions with GDOT. GDOT asked that several projects be added to the Transportation Improvement Program for 2018-2021 that do not appear in the 2040 Long Range Transportation Plan, Sherry McDuffie said. Under federal procedures, which government MACORTS, projects have to be included in the Long Range Plan if they are to be included in the Transportation Improvement Program. GDOT has to meet federal regulations if it plans to use any federal highway funds in a project. The spending for the Long-Range Plan has to be balanced, that is, projected spending cannot exceed expected allocations, Sherry McDuffie told the Committee. To add the GDOT requested projects to the Transportation Improvement Program and thus to the Long Range Plan, MACORTS has to cut some projects from the existing Long Range Plan, Sherry McDuffie said. The new projects totaled just $19.2 million, Sherry McDuffie said. Sherry McDuffie said “staff” proposed that MACORTS remove the $8.5 million for the Daniells Bridge Road Extension from the Long Range Plan and use $11.1 million in unassigned funds to cover the costs of the GDOT requested projects. The Daniells Bridge Road Extension in the current MACORTS document runs from the existing Daniells Bridge Road just north of Chestnut Hill Road across SR Loop 10 to the current terminus of the Oconee Connector at Home Depot. Emil Beshara, Oconee County Public Works Director, made the motion to accept that staff recommendation. B.R. White, director of the Oconee County Planning and Code Enforcement Department, seconded the motion, which then passed unanimously. The Long Range Plan modifications included $2.5 million for the interchange at the Dials Mill Road Extension, $5.4 million for the improvements to the SR 316 and SR Loop 10 interchange, and $6.0 million for upgrades to the SR Loop 10 bridges at the Middle Oconee River. It also included $2.5 million for the Clotfelter Road Bridge at Barber Creek, and $2.8 million for the Belmont Road Bridge at Shoal Creek in Athens-Clarke County. GDOT asked the Technical Coordinating Committee to approve these changes in the Transportation Improvement Program to accommodate the changes to the Long Range Plan and the GDOT Construction Work Program. The Construction Work Program reflects the state budget for road projects. Sherry McDuffie said MACORTS had received “some comments from GDOT Office of Planing and Management" that needed to be incorporated into the Transportation Improvement Program for 2018 to 2021. Some of the changes were technical issues, such as the designation of the Congressional District for one of the projects in Athens-Clarke County. The county is split between the 9th and 10th Congressional Districts. 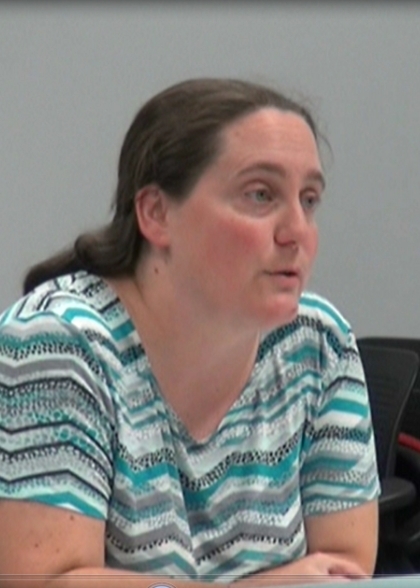 Construction for the SR 316 Oconee Connector interchange was listed as “long range” in the current Transportation Improvement Program and it is supposed to be in 2023, Sherry McDuffie said. The $2.5 million needed to be added for the Dials Mill Road Extension, she said. The construction funding for the Jimmy Daniell Road widening was increased from $17.8 to $20.9 million and utility costs went up $4.2 million. The terminus of this project was changed from SR 316 to Mars Hill Road. The construction and utility costs for the SR 10 Loop at Atlanta Highway project interchange increased from about $25 million up to $28.2 million. Right of way acquisition for the Clotfelter Road improvements was moved to year 2020. Beshara said the Dials Mill Road Extension flyover “is a very strange addition” to the Transportation Improvement Program. “I’ve never been in any meeting when an Oconee County representative requested the prioritization of this particular project,” Beshara said. “Sometimes we don’t know where these additions come from,” Sherry McDuffie said. “They just show up on the list” from GDOT. Darius Malone, representing GDOT planning at the MACORTS meeting, confirmed the GDOT interest in the project. Beshara also questioned the extension of Jimmy Daniell Road to Mars Hill Road. At present, Jimmy Daniell Road intersects Virgil Langford Road, but not Mars Hill Road. Malone confirmed that the plan is to connect Jimmy Daniell Road to Mars Hill Road. Beshara also asked about need for right of way for the Clotfelter Road Bridge over Barber Creek. Brad Griffin, Technical Coordinating Committee chair and Athens-Clarke County Planning Director, also questioned the Dials Mill Road Extension and Clotfelter Road projects. In the end, Beshara made the motion to approve the Transportation Improvement Program changes, and Butch McDuffie from Athens Transit seconded. The Committee approved the motion unanimously, but Sherry McDuffie agreed to follow up with GDOT to make sure it really wanted to added the Dials Mill Road Extension flyover given that a flyover also is planned for nearby Dials Mill Road itself. The meeting of the Technical Coordinating Committee lasted only 22 minutes. The video of that session is below. The meeting took place in the auditorium of the Athens-Clarke County Planning Department in Athens. The Policy Committee is scheduled to take up the changes to the Long Range Plan and to the Transportation Improvement Program at its meeting on June 14. OCO: MACORTS Tech 5 24 17 from Lee Becker on Vimeo. I sure hope GDOT plans to fix the messed up lines on 316 at the intersection with Oconee Connector as part of the Mars Hill widening project. Those squiggly lines have been an eye sorer since the ice detached them from the road surface several years ago, and then they got re-attached but never re-done. Very interesting that a project like Dials Mill Road could just happen spontaneously. More likely the people involved just don't want to be identified, but are powerful. Wonder if their last name starts with a "B". Wonder who benefits financially from this change. Zippity, ya' don't miss much. All of these meetings are smoke-screens to give the illusion of local input. “Sometimes we don’t know where these additions come from,” Sherry McDuffie said. “They just show up on the list” from GDOT." Herein lies the truth. GDOT has the money for its Jobs and Largess Programs. What it wants goes, and is a done deal when they want it to be. The reality is where the money is dangled, in front of whose face or in whose hands it ends up, and where the contracts go. It's atrocious. Is there an place where we can see what the proposed Oconee Connector / 316 flyover will look like? Making Jimmy Daniel four lane seems like a waste of money, especially from 316 to Mars Hill. Makes you wonder about the future development planned for the immediate area. Zippity, I bet whomever made that decision has ties with the Georgia Club. No maps of the Connector/SR 316 interchange have been released. No one at the MACORTS meeting was able to offer an explanation for that decision by GDOT.